I don't have a telescope so if you do, and you see this event, send pictures! 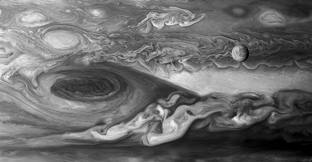 You may notice that the above really only has to do with 2 of Jupiter's moons and none of those are Europa. That's because this blog is equal opportunity Jupiter news. Much more information can be found at this link. Also, I will be at the NOLA ComicCon this Saturday, as tweeted and blogged about. SATURDAY only because it's a long drive. If you will be there, stop by and say "hi!" Hey daughter the back. 8 date because. Hello. Please. E R R O He, the, hey Tiffany blue and orangepackage. That's number 1. Number 2 Do you or bye bye talk to you can say do popcorn 2 more.Chiropractic pop point in the Clinton all kinds of way very soon, which will be cut. The at 3 HI hasenjoyed very much. Because, something different paper, do. I think of2001. And the Canadian production very good and I'm really happy petting peacetime to book it though,okay drive talk call call bye love you And number forwarded replicate there. Okay bye. I was contacted by Matt at scififx.com this week and he asked me to do an interview for their new podcast. I am very excited at the opportunity to field questions about Europa in front of such a large audience. The interview is scheduled for February 13th (I'm not sure if it's live or prerecorded). And here's a story link. It's just one of the many services this blog provides you. And here's where I'll be tonight. Have a good weekend!